I started spotting 2D barcodes--matrixes of dots or lines--a few months ago, and thought that it might finally be time for these codes to start taking off in the US. In Japan, at least 50 million people (based on a recent study conducted there) use 2D barcodes regularly. Here's my article in the Economist about it. This is just about the favorite topic I've written on for them, although I have a piece on CAPTCHAs in a couple of weeks that was also good fun to research. Why? Because these codes are a shortcut between the digital and physical world, or an interface from digital to digital. The code is a way to transfer a URL, some text, or a lookup code (which is resolved over the Internet) to something you're looking at. A QR Code with the URL for this blog entry embedded. It can be used for advertising where each code, because so much information can be encoded, could be unique by region, city, or even individual magazine or newspaper subscriber. Response tracking can be as granular as Internet advertising. But it also has a direct utility as a shortcut for Web pages: click a shot on your mobile phone of a Web page's barcode, and you can bookmark or visit the site. This is one of the top two uses of such codes in Japan, the study found. Because the codes are designed to be robust and work at various sizes, you can print them on T-shirts, tattoo them on your forehead (if lost, please call...), create art with them, put them on billboards, add them to your business card, place them at strategic locations for geocaching, add place-specific details (a restaurant's menu could be encoded in a relatively small code on their window along with GPS coordinates), and so on. The reason such codes haven't taken off here is that carriers haven't preinstalled the technology into smart and simple phones. In Japan, several years ago, major carriers combined with handset makers and advertisers and others to facilitate the adoption of the QR Code, a format that would be open (anything can be encoded, including a URL). The QR Code patentholder agreed to not collect royalties on implementations, so it's a zero-cost approach. The Japanese carriers pushed 2D barcodes to increase use of the mobile Web, which new phones were optimized for. Pricing was also so much more reasonable than in the US, and faster standards were in use much earlier, that it made sense to try to get people to use the service. 2D codes were one part of the adoption strategy. In the US, however, the dominant Web browsing technology was the braindead WAP simplification standard that broke most pages except a handful optimized for that. It took years before smartphones got decent-enough browsers to use the Web--to even use mobile-optimized sites. And carriers had a variety of plans, some of which included unlimited usage or usage within generous per-minute pools. Overage charges were excessive. None of this was ideal for wanting more Web usage or making users happy. With modern phones, 2D barcodes have a potential. The largest Spanish and Danish carriers are preinstalling Scanbuy's software on every phone (either by now, months ago, or soon), many Latin American carriers are signed up, and Sprint is preinstalling the software on one phone. Third-party software makers have packages for smart and dumb phones alike, if you want to try these out. Scanbuy software reads its own EZcode, which is a controlled lookup format: a number is encoded and resolved via Scanbuy's service. Individual use is free; corporate and advertising use at a fee, shared with carriers. Scanbuy's software supports the two most popular quasi-open formats, QR Code and Data Matrix, but carriers can opt to disable that support. On the iPhone there are a dozen packages for recognizing 2D barcodes; QuickMark is the best, and the company's software is available for a huge number of feature (basic) and smartphones. I find myself since discovering 2D barcodes using a silly process when I'm reading an article on a Web page that I want to continue reading on my phone when I leave. 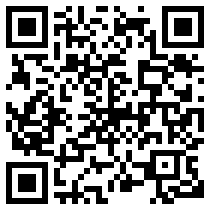 I go to Kaywa's QR Code generator page, paste the URL in, then use QuickMark to grab the URL on my iPhone. Imagine if...the Web page just had the QR Code already?